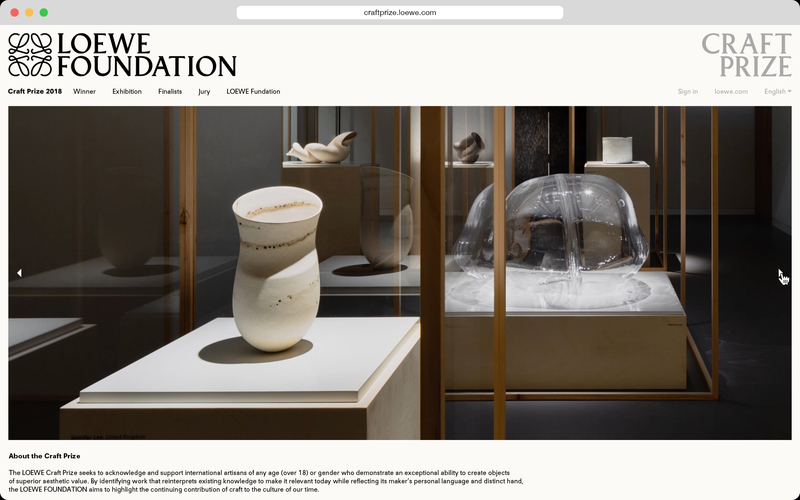 The LOEWE Foundation was founded in 1988 with one mission, to promote creativity, education and to safeguard the heritage of poetry, dance, photography and architecture. 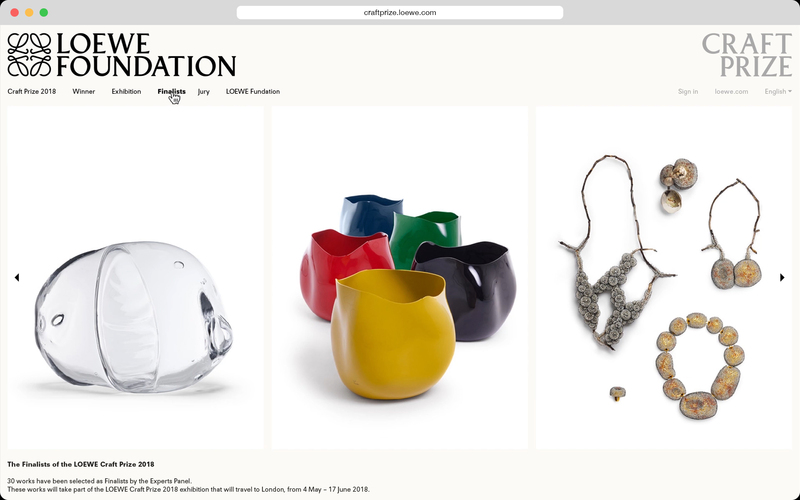 In 2016 they launched the LOEWE Craft Prize, a contest dedicated to reward the talent of new craftsmen, thanks to the brand’s close relation with craft and culture. 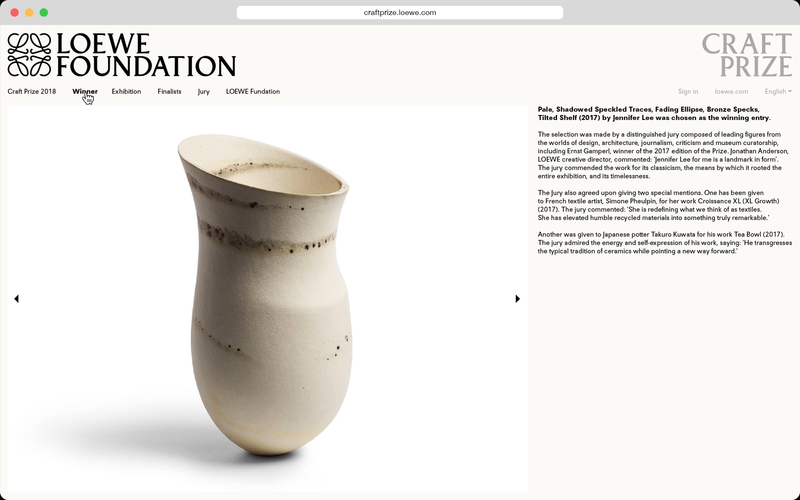 In order to create a digital platform to host the project, LOEWE commissioned Naranjo-Etxeberria for the concept, art direction and design of the website. In 1846 Enrique Loewe Roessberg, a german craftsman, arrived to Madrid and started working with a leather smith in the city to create handcrafted pieces and, in the years to come, he became one of the most recognized leather craftsman worldwide. LOEWE was born. The prize pays homage to craftsmanship, returning to the origins of LOEWE and encouraging participation to give an opportunity to do what Enrique Loewe did in the past. We brought these concept to a digital environment trough three premises that helped us shape the website. The first one was to give it its own identity while not forgetting the brand’s own, and to find a balance between both worlds. For the second one, we worked on how to gain attention from the target not only visually, but also transmitting a clear message. And the third one was to develop a modular architecture which would help us show all the content in a dynamic and intuitive way.